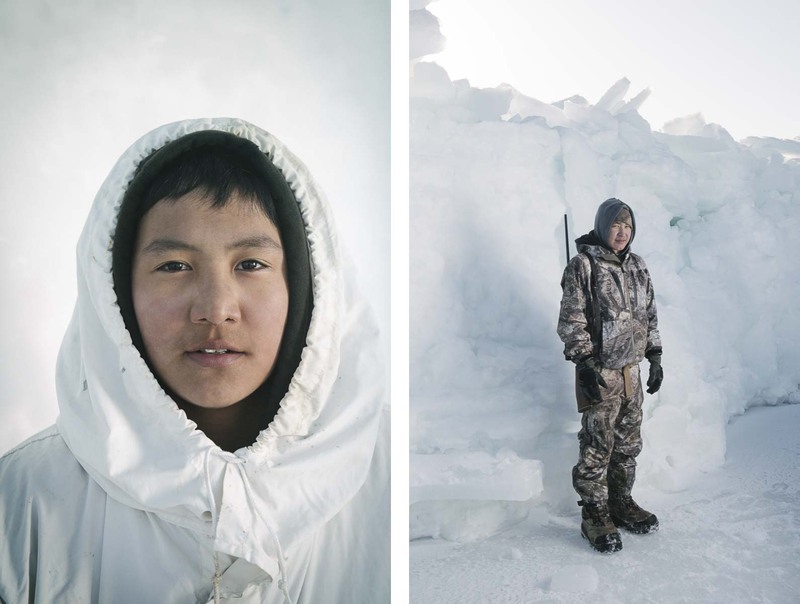 Left: 16-year old Yugu Ningeok, a member of an Iñupiaq whaling crew, wears his ice camoflauge cover, or qatiginisi. Yugu is named after his uncle, the original founder of the whaling crew. Right: Thomas Kingosak, a member of Yugu crew, poses for the camera in front of a block of multi-year ice. TK has been a hunter since his childhood and keeps his rifle close during the whaling season for polar bear defense.